Last week I was salivating over Bobbi Brown's stinking gorgeous lip palette, trying to fabricate a reason I needed it right then and there. I even looked at the customizable but equally costly freedom system from Inglot. I knew in the back of my mind that a) I couldn't afford either and b) I probably owned most of the shades in it from a variety of brands from Revlon to Bobbi to MAC, and decided to just make my own palette. 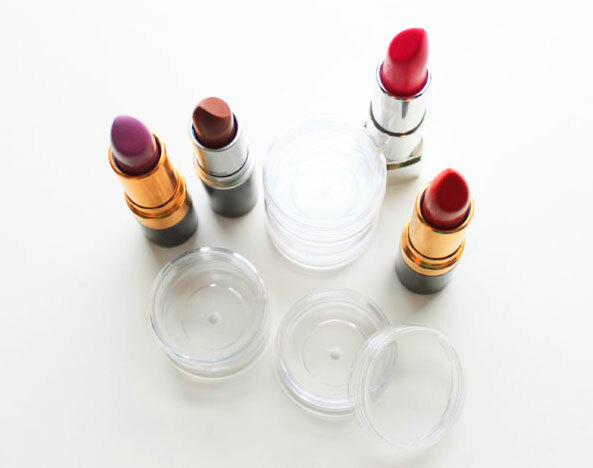 The last time I was packing up for a makeup job, I felt so scattered trying to decide which lipsticks I needed to bring and wanted to find a way to simplify the process. Off I went to Amazon to find the perfect blank palette. 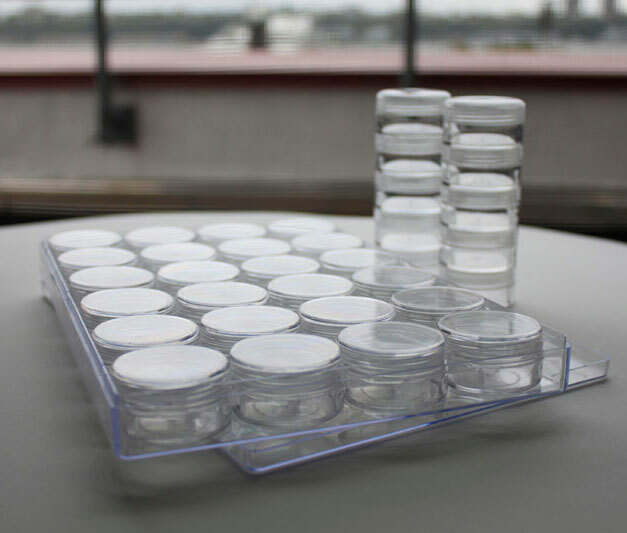 The containers, clean and ready for lipsticks! I opted for this container from Amazon, shown above, for a couple reasons: it's meant for crafts so it's a lot cheaper than an empty lip palette; plus, each container is a separate jar so that if I'm going to do makeup that I know will be very natural, I can just grab a few of the subtler shades without having to haul my entire collection of reds, pinks and purples. Also, I'll be able to keep the lipsticks much cleaner because I'll only need to open each jar when I want to use it, keeping the others from being exposed to dust & dirt every time I open the whole thing. I also got these stacks of jars from Amazon which lock into the bottom of each other so they can't be separated; I'm thinking of using these for gel liners soon. 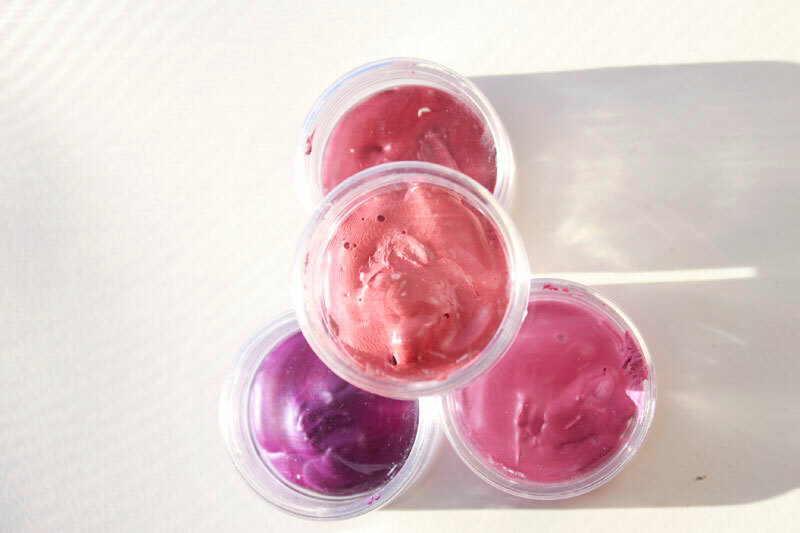 Of course, you could do this same project to consolidate foundations, concealers or cream shadows, liners and blushes. If you're just starting to do other peoples' makeup like I am, it's a nice way to make your kit more compact and also hide the fact that you can't afford MAC and Chanel's entire ranges of lipsticks yet. 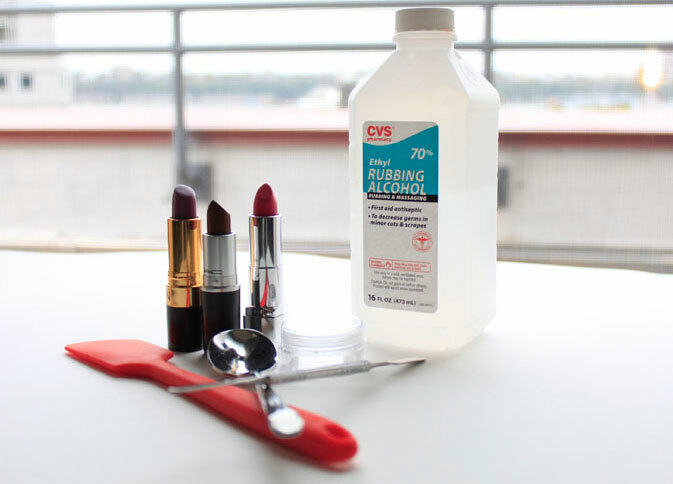 What you'll need: lipsticks, empty containers, a spoon, palette knife or butter knife, small spatula and rubbing alcohol to sanitize everything. Not shown is your method of melting. You can use the microwave or, if you don't have one, a candle. 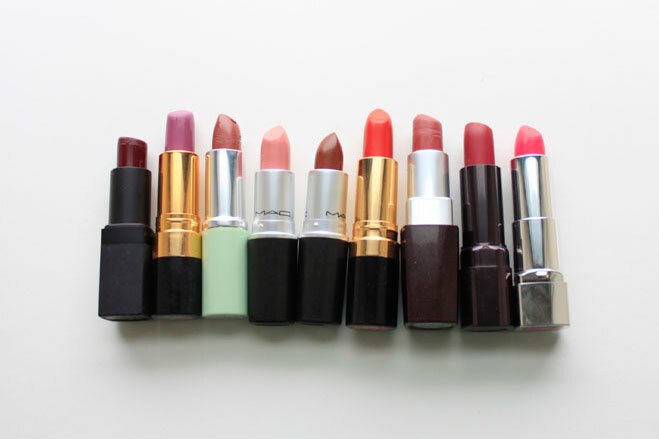 The first and most important step: sanitize the lipsticks thoroughly if you've used them before. Spray them with 70% rubbing alcohol and wipe with a tissue. Additionally, be sure not to touch the lipstick with your fingers while getting them into the palette, or they'll be unsanitary again. Instead, your best bet is to use a thoroughly cleaned rubber spatula, or a clean butter or palette knife. 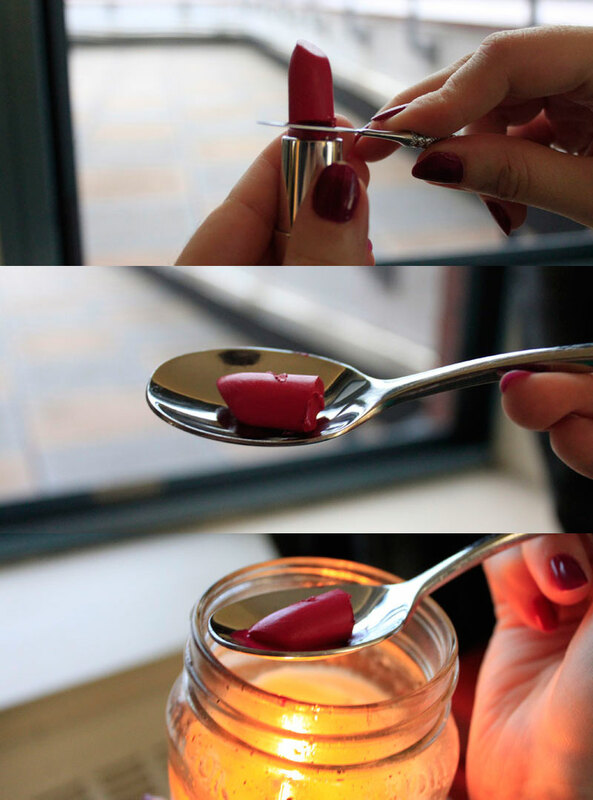 A quick pic-torial on the process of melting lipstick with a candle. After this, I'm cutting off part or all of the lipstick (depending on whether I still want to use it myself from the tube) with my palette knife and placing it in a spoon; since I don't have a microwave I'm going to melt to lipstick over a candle. If you have a microwave you could just place the chuck of lipstick into a microwaveable container & melt it for a few seconds at a time. Next, I'm taking a small and sanitized spatula to scoop as much of the product out of the spoon as possible into the jars. Initially, I was using my spatula to get as much product off the spoon into the jar as I could, but this made for a pretty messy jar, so I kind of let go of that goal after a few tries. 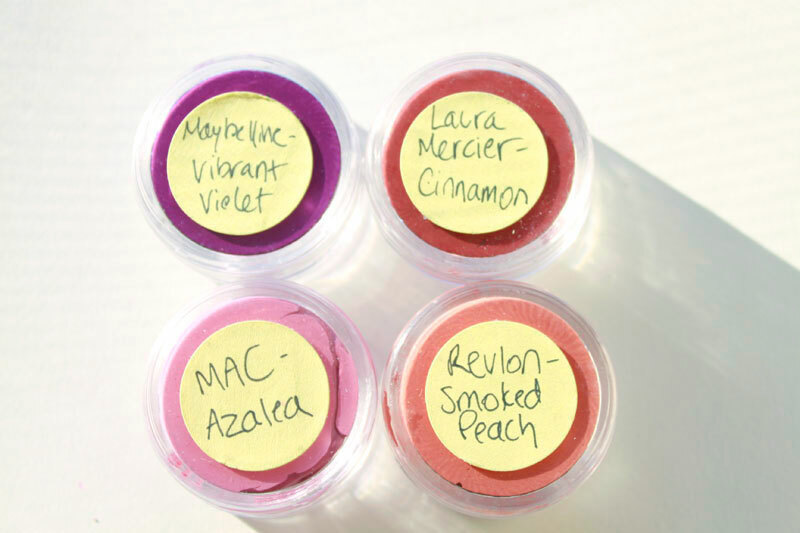 Of course, clean off your spatula between each lipstick shade or you'll alter the color of each product to follow. The finish product, all labeled and ready to be used. On to labeling! I'm just using round stickers from the drugstore with a fine-tip sharpie to write the brand & name of each lipstick and stick it onto the appropriate jar. If you have a label-maker, three cheers! This project will look even more professional and snazzy. And, that about does it. If you're just going to be using these for yourself, you don't have to worry about cleaning them constantly, but if you'll be using this palette to do other peoples' makeup, be sure to never stick your fingers in it. Always get the product out with a clean Q-tip, brush or palette knife. And even if you're careful to do this, you should clean these jars often the same way we did the lipstick tubes: we some rubbing alcohol and a tissue. One day I hope to make the Bobbi Brown palette mine, but for now I'm excited to have my already beloved lip colors nestled together, ready for any assignment.